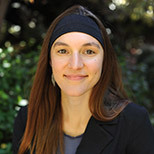 Liz Carlisle is a fellow at the Berkeley Food Institute at the University of California, Berkeley. She holds a Ph.D. in Geography, also from Berkeley, and a B.A. from Harvard University. A native of Missoula, Montana, Carlisle is also a former Legislative Aide to United States Senator Jon Tester. Most recently, she is the author of Lentil Underground, which tells the story of Montana’s organic farming movement. OPINION: Who’s keeping organic food honest?